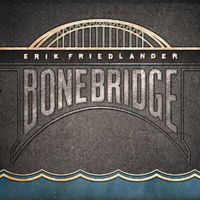 The quartet featured on Bonebridge is an augmented variation of cellist Erik Friedlander's Broken Arm Trio. The group, with bassist Trevor Dunn and drummer Michael Sarin, was originally conceived in tribute to Oscar Pettiford's cello experimentswhich were undertaken in 1949 when the legendary bassist played the smaller instrument while recovering from a baseball injury. 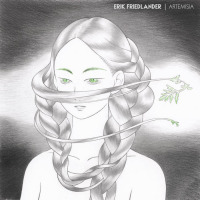 Refraining from bowing, Friedlander employs a fulsome pizzicato technique on the new ensemble's self-titled debut, finding supple concordance with slide guitarist Doug Wamble's spiky twang. 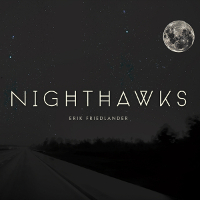 Their mutual affinity for bluegrass, country and folk styles infuses the tuneful session with an air of bucolic Americana, an aesthetic Friedlander previously explored on his 2007 solo set Block Ice & Propane (Skipstone). The date's heartland melodies are inspired in part by Friedlander's memories of a family vacation to the 1971 Galax Fiddlers Festival in Galax, Virginia. The trip, a work assignment for his father, the photographer Lee Friedlander, made a lasting impression on the young cellist. "Low Country Cupola," the album's soulful down-home opener, evokes such festivities, revealing Friedlander and Wamble's congenial rapport with a series of lyrical fretboard ruminations that ebb and flow with dusky, Bill Frisellian ambience and affable melodiousness. Buoyed by a bright tempo and effervescent theme, the upbeat "Beaufain Street" follows in turn, conjuring the good-natured interplay of spirited bluegrass jams. "The Reverend" presents a slightly more sobering vision, awash with lush legato sentiments and bittersweet harmonies. There are occasional detours into more exotic territory as well, with the austere classicism of "Caribou Narrows" and the hot jazz stylings of the tango-inflected "Hanky Panky" expanding the band's stylistic palette beyond Appalachia. 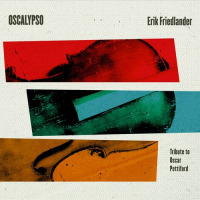 Friedlander plays pizzicato almost exclusively throughout the recording, conspiring with Wamble's rustic variations and Dunn's earthy musings. Sarin's understated approach provides a dynamic range of support for the plucky strings, from the spectral accents of the cinematic tone poem "Bridge to Nowhere" to the sprightly swing of the boppish blues "Tabatha," which unveils a string of vivacious statements capped by a cheeky Thelonious Monk quote from Wamble. Driven by Friedlander's aching arco glissandi, the moody "Down at Bonebridge" closes the record with a dreamy vibe similar to the recent efforts of John Zorn's Bar Kokhba and Dreamers sextetsof which Friedlander and Dunn are respective members. 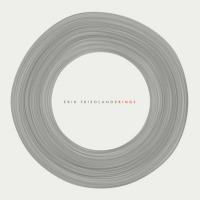 Drawing stylistic parallels between the work of Downtown icons like Frisell and Zorn with a roots-based approach, Bonebridge knits together a colorful patchwork of Americana that extends the sentimental resonance of rural folk traditions into exploratory new territory. Track Listing: Low Country Cupola; Beaufain Street; Transpontine; The Reverend; Caribou Narrows; Tabatha; Hanky Panky; Bridge to Nowhere; Down at Bonebridge. 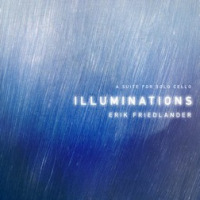 Personnel: Erik Friedlander: cello; Doug Wamble: guitar; Trevor Dunn: bass; Mike Sarin: drums.